Ten-year-old Helen and her summer guardian, Flora, are isolated together in Helen's dilapidated family home while her father is doing secret war work during the final months of the Second World War. At three Helen lost her mother and the beloved grandmother who raised her has just died. A fiercely imaginative child, Helen is desperate to keep her house intact with all its ghosts and stories. 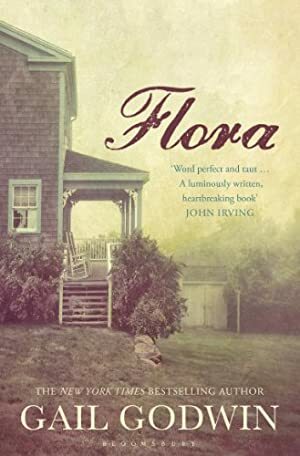 Flora, her late mother's twenty-two-year old first cousin, who cries at the drop of a hat, is ardently determined to do her best for Helen. Their relationship and its fallout, played against the backdrop of a lost America, will haunt Helen for the rest of her life. Track It. This book has been £4.32 within the past year. We started tracking this book on June 23, 2013. This book was £7.91 when we started tracking it. The price of this book has changed 96 times in the past 2,129 days. The current price of this book is £5.78 last checked 4 hours ago. This lowest price this book has been offered at in the past year is £4.32. The lowest price to date was £1.72 last reached on May 13, 2016. This book has been £1.72 one time since we started tracking it. The highest price to date was £9.59 last reached on June 29, 2013. This book has been £9.59 one time since we started tracking it. We last verified the price of this book about 4 hours ago. At that time, the price was £5.78. This price is subject to change. The price displayed on the Amazon.co.uk website at the time of purchase is the price you will pay for this book. Please confirm the price before making any purchases.